What is the word of God, and how do we hear it? That question comes round again and again in many Christian circles. Five years ago I was privileged to be the Anglican observer at the Synod of Bishops in Rome, where the subject was “The Word of God.” It quickly became clear that some people were using the phrase “the word of God” to refer to the Bible, while others used it to mean “the Bible and the tradition,” and still others wanted it to mean “the Bible, the tradition, and the magisterium.” Clearly we all have some work still to do in clarifying the question, never mind answering it. But my task tonight is to go back to our earliest Christian writer, St. Paul, who uses the idea of God’s powerful word in various ways in his writings. This investigation ought to help us both in understanding how this key element works within his theology, and also perhaps to give us a fresh angle on our contemporary questions. Before we get to Paul himself, though, we should notice a striking phenomenon in the book of Acts. In chapter 6 the church appoints deacons to administrative tasks, so that the primary apostolic duty of prayer and the word of God may not be interrupted (6.2, 4). The result was that “the word of God continued to spread” (6.7): the Greek term for “spread” here is ēuxanen, “increased,” as of a plant growing up. The same word is used in 12.24 when, after the death of Herod, “the word of God continued to spread and multiply.” A similar expression comes once more, in 19.20, when after the remarkable events in Ephesus “the word spread and grew strong through the power of the Lord.” It seems as though in these instances the phrase “the word of God” is shorthand not simply for the message which the apostles proclaimed but for the life-transforming and faith-evoking energy which it carried. The “word” is more or less personified, and as often in scripture this kind of personification is a reverent way of referring to the power of God himself at work in transforming people and communities. The first letter to the Thessalonians is widely regarded as Paul’s first extant writing. Whether or not that is so, we find here two passages in which Paul echoes what we saw in Acts. Here he speaks of the powerful divine word as a transforming energy which, though unleashed through his own announcement of the gospel, is much greater than the sum of his own words or his rhetorical skill. “We know,” he says, “that God has chosen you, because our gospel did not come to you in word only, but in power, and in the holy spirit, and in full conviction” (1.4-5). The Thessalonians, he says, “received the word in much suffering, with joy inspired by the holy spirit,” whereupon, as the larger world of northern Greece looked on in surprise, “not only did the word of the Lord resonate out from you in Macedonia and Achaia, but in every place your faith in God has gone out” (1.8). It might be possible to read this latter phrase as “the word about the Lord,” i.e. a message concerning Jesus, but it seems to me more natural to read this, too, as referring to the Lord’s own word. Thus within five verses we have three aspects of the divine word: it comes upon people in power through the preaching of the gospel, it is received with both suffering and joy, and it resonates outwards from the newly formed communities. There you have my subtitle in a nutshell: gospel, community and mission. But there is more. In 1 Thessalonians 2.13 Paul develops the theme further. We always thank God, he says, “that when you received the word which you heard from us you received it, not as the word of human beings, but as what it really is, the word of God which is at work in you believers.” As before, the (to us) paradoxical sign of this was that at once they experienced persecution. If this message had been merely human advice, they might have found it an interesting but not utterly life-changing or subversive set of ideas. But when a transformation occurs such that your former friends and neighbours are shocked into violent reaction, you know that this is more than merely human wisdom. That might not be the kind of thing we look for today when we seek evidence of the power of the divine word, but Paul regularly spoke of it this way. One of the key terms Paul uses in this second passage is the Greek word energeō, to be at work: the word, he says, is “at work” in you. It’s worth looking at the way he uses this elsewhere. In Philippians 2.13 he declares that “the one who is at work in you is God” himself, and clearly the idea is the same. And in the famous proto-trinitarian passage in 1 Corinthians 12, he says that there are varieties of gifts, but the same spirit; varieties of service, but the same Lord; and varieties of workings, energēmata, but it the same God who is working (ho energōn) all of them in everyone. And this “working” includes two specific word-related ministries: words of wisdom and words of knowledge (12.8). This enables us to offer a more rounded picture of what Paul means by the divine word being “at work” in people: he envisages a hidden divine energy, transforming lives and generating new activities which in turn become part of the outflowing divine work in the world. This brief beginning already tells us that Paul believed in the personal presence and energy of the one true God being unleashed through the gospel and through its work in the dangerous transformation of human lives. He is not, in other words, simply constructing a system of theological thought, deciding to begin with the Word, with scripture, rather than with something else, such as symbols or images. Paul’s “theology of the word” is about a life-transforming energy which immediately results in new community, not just new ideas. And this is strongly confirmed when we add in the other two obvious starting-points. In 1 Corinthians 1 and 2 Paul contrasts the word of the gospel with the words of wisdom one might hear from other teachers. It is different not just in content but in nature; it is a different sort of word, generating a different sort of knowledge and wisdom. “The word of the cross,” he writes, “is foolishness to those who are perishing, but to us who are being saved it is God’s power” (1.18). And now it becomes clear what this “word” actually is. It is the message about the crucified Messiah: Jews demands signs, and Greeks look for wisdom, but “we proclaim the crucified Messiah, a scandal to Jews and folly to Gentiles, but to those who are called, Jew and Greek alike, the Messiah who is the power of God and the wisdom of God” (1.23-24). This latter passage, as often in Paul, is an expansion of the former short summary, indicating that the logos tou staurou, the “word of the cross,” is the announcement that the crucified Jesus is Israel’s Messiah and the world’s true Lord. And in the next chapter he gives this message yet another designation: it is “the mystery of God” (2.1). When Paul makes his announcement, it is like a veil being drawn back so that the astonished onlookers see for the first time what the hidden divine plan had always been. That is why Paul’s message was not “in persuasive words of wisdom,” but “with the demonstration of the spirit and of power,” so that the new-found faith would rest, not on human wisdom but on divine power. We are clearly here in the same territory as in 1 Thessalonians, but with considerably more detail. By now it should already be clear that Paul, like Acts, uses the notion of the divine “word” as a shorthand for a much more complicated notion. In the proclamation of the gospel the holy spirit is at work both to elicit faith and to accompany that with powerful signs and wonders on the one hand and with suffering on the other. The suffering presumably arises from the fact that when people believe the gospel they abandon former ways of life, including former cultic life (as in 1 Thessalonians 1.9), and are therefore regarded as dangerous and subversive. The word generates a new community, a new kind of community, and that is bound to attract hostility. Now we can see, as well, the way in which what Paul says about the powerful divine word is a lot more than simply fresh content, fresh information, upon which one might construct an intellectual system, even a theological system. The “word” in question creates a new reality. We can point towards this with inadequate illustrations: when a judge says “I find this person innocent,” or a priest says “I declare that these two are husband and wife,” a new reality comes into being. In a different way, when someone says “I love you,” especially if it’s unexpected, something happens which is far more than simply the conveying of information. All this goes with the theme which I and others have explored at length elsewhere: for Paul the gospel is about the sudden and dramatic fulfilment of the age-old divine purpose, generating a new creation, a new world in which there is not only new knowledge but a new type of knowledge, a type indeed for which one of the best names is agapē, love. Here we should detect echoes in Paul, as in John or Hebrews or indeed 1 Peter (1.25), of the biblical theme of creation and new creation through the word. I shall return to this presently, but first we must look at the last of our initial passages, in some ways the most obvious one. In Romans 1.16-17 Paul does not use the word logos or any equivalent, but there can be no doubt that he is saying something very close to what we have just read. “I am not ashamed of the gospel,” he writes, because it is God’s power for salvation to all who believe, Jew first and also Greek. This is so because in it God’s righteousness is revealed . . .’, and so on. I resist the temptation to expound the divine righteousness, except to say this: here too we have what might be called an “apocalyptic” concept, the unveiling of the powerful divine purpose. As always, this unveiling is of something promised long before and now at last revealed. Paul always holds together (as not all his interpreters have managed to do) the belief that what has happened in the Messiah and his death and resurrection—which is of course the central subject of his proclaimed gospel—is a shocking, irruptive and disruptive event, and the belief that this is exactly what the one true God had always said he would do. The word thus includes the note of surprising fulfilment as well as radical newness. And this points on to our next theme. When we examine the ancient biblical settings in which the divine word is mentioned and indeed celebrated, we find frequent reference to creation. “By the word of the Lord were the heavens made, and all the host of them by the breath of his mouth,” sang the Psalmist (33.6), continuing, “he spoke, and it came to be; he commanded, and it stood firm.” The living, creating God is the speaking God, whose speech does things, makes things, brings things into existence—reflecting, of course, the repeated statements in Genesis 1 about God saying “let there be.” “He sends out his command to the earth,” says a later Psalm, and this creational word is picked up by the covenantal word a few verses later: “He declares his word to Jacob, his statutes and ordinances to Israel” (Psalm 147.15, 18; cf. 148.5-8). The divine word is even the agency whereby God heals the sick (Psalm 107.20). In all this the divine “word” is very close to the divine “wisdom,” the mysterious quasi-personal agent through whom the creator makes all things (Psalm 104.24; Proverbs 3.19; etc.). So far as I am aware, Paul does not quote any of those passages directly. But in one letter in particular his notion of the active divine word deliberately invokes the idea of new creation, which as I shall suggest lies at the heart of his still deeper notion of community and mission. The letter to the Colossians has creation and new creation as one of its main themes, with the famous poem of chapter 1 verses 15-20 offering a careful and subtle Christological meditation on Genesis 1.1 and Proverbs 8.22. The poem sees the Messiah as the hidden meaning both of the “wisdom” who was with the creator at the beginning and of that “beginning” itself. It is therefore no accident that, in the introduction to the letter, when Paul speaks of “the word of truth of the gospel,” he echoes Genesis 1. This “word,” he says, is “bearing fruit and multiplying” in all the world (1.6), just as in Genesis first the animals and then the humans are commanded to “be fruitful and multiply.” Paul is already hinting that what is going on through the gospel is new creation. This hint is magnified when he reports his prayer that his hearers may themselves “bear fruit and multiply” in the knowledge of God (1.10). 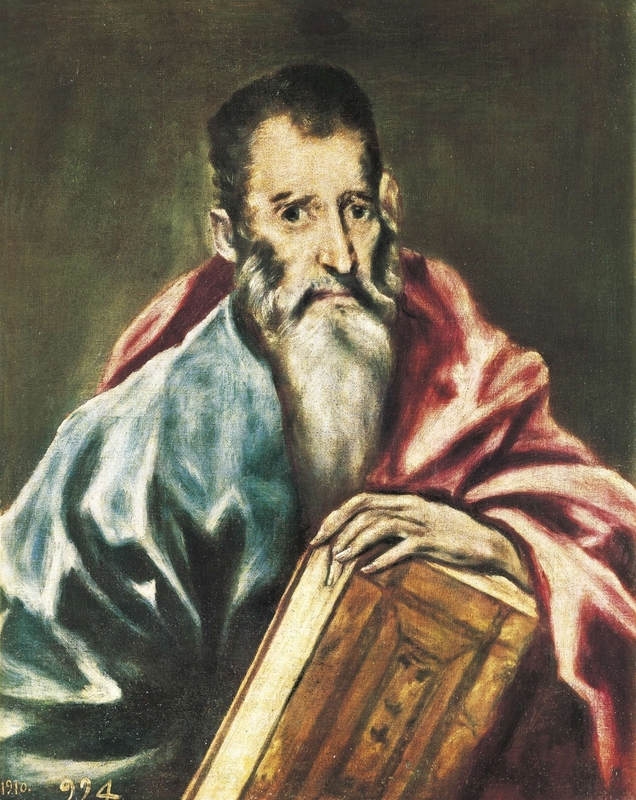 The increase in knowledge and wisdom is a recurring theme in Colossians, and Paul clearly links this, and his own role as a teacher, to the underlying belief that the one God whose powerful word brought people to faith in the first place is continuing to work in them to bring them to a mature understanding and way of life. In the Messiah, as we might have guessed from the great poem, are hidden all the treasures of wisdom and knowledge. The word of truth which brings people into this realization is sharply contrasted with the “deceitful words” with which some might try to distract the new converts (2.4). When he describes his work of teaching and encouragement in 1.28 he does not explicitly speak of the divine word, but he does so when he uses the same language to describe the mutual ministries within the church (3.16). The divine word is therefore both the powerful energy which generates faith and so calls the church into existence in the first place and also the powerful energy, through the apostolic teaching of the “mystery” which is the Messiah, by which every member of the church is to be brought to maturity. Once again, though obviously the cognitive content matters enormously to Paul, what matters above all is that through this teaching the divine energy is at work. The passage I just mentioned, Colossians 3.16, thus holds the clue to Paul’s vision of the ongoing work of building up the church. “Let the word of the Messiah dwell in you richly,” he tells them—and that word “indwelling” is one he sometimes uses to hint at the church as the Temple, the place where the living God comes to dwell by the spirit (as in Romans 8.9-11), and also to insist that Jesus himself is the place where the fullness of divinity has come to dwell bodily (Colossians 1.19; 2.9). Once again the divine word—the word both about the Messiah and of the Messiah—is a periphrastic way of speaking about the living presence of God himself. As in 2 Thessalonians 3.1, the word of the Lord, or of God, or of the Messiah, will do its work, and even be “glorified.” That too is temple-language. Two other passages call for attention at this point, if only for completeness. In Romans 10.17 Paul summarizes the way the gospel works: faith comes through what is heard, he says, and what is heard comes through the word of the Messiah. He offers this as an explanation of Isaiah 53.1, near the start of the fourth “servant song.” But the phrase “the word of the Messiah,” rhēma Christou, is also directly linked to the quotation which follows, which comes from Psalm 19.5: “their sound has gone out into all the earth, and their words [ta rhēmata autōn] into the ends of the world.” The “word of the Messiah” is, for Paul, both the word about how the ancient messianic prophecies were fulfilled and the word which declares that the purpose of creation itself has now come to pass. But how does this powerful word turn into the mission of the church? Here Philippians 2.16 is regularly cited. The whole passage is about the holiness to which the church is called: they are to be blameless and innocent, children of God without blemish in the midst of a crooked and perverse generation, in which—as in the picture of the resurrected saints in Daniel 12—they will shine like lights in a dark world. They are to “hold forth the word of life”; at least, according to some translations. But the meaning of the relevant word is debated: logon zōēs epechontes, where epechō could mean “hold forth,” as in, offering the word to others, or, as in the NRSV, “holding fast,” keeping a tight grip on it themselves. In the former case Paul sees the church as the active agents of an evangelism which will be like his own; in the latter case, which seems marginally preferable on linguistic grounds, he sees the church as holding tightly to the word of life so that they may continue to shine in the dark world, and so that it will be clear that he has not been wasting his time on them. Actually, with this second meaning you get most of the first as well, since if, by holding tightly to the word, they can shine as lights, the notion of mission is not far away. All this leads to some larger and wider Pauline reflections which show, I think, that in his underlying theology of the powerful divine word Paul was deliberately retrieving some of the most important elements of Israel’s ancient traditions and seeing them as having a new fulfilment through the gospel. So far in this lecture I have explored the ways in which Paul describes the work of the gospel in terms of the divine “word,” which I have suggested is for him a periphrastic way of referring to the powerful divine activity both in bringing people to faith and in transforming their lives. I have proposed that we should see this, from Paul’s point of view, in terms of the divine purpose of new creation, in which the “word” calls things into existence that formerly did not exist, and thus fulfils the creator’s long-term plan which had seemed to be thwarted by sin and death. I have suggested that all this ties up with Paul’s apocalyptic vision of a new world which is launched in Jesus and his death and resurrection, which is put into operation through the gospel, and which results not only in a new knowledge in the sense of cognitive content but a new kind of knowledge, what some have loosely called an apocalyptic epistemology. I now want to suggest that Paul also believed that this powerful divine word was the long-term fulfilment of the powerful word of the biblical prophets; and, behind that again, that it was the long-awaited “word” through which the Law itself, the ancient Torah, was to be fulfilled. These are large claims, and I must take them step by step. To begin with, Paul and the ancient prophetic tradition. Out of all the passages where Paul quotes or alludes to Isaiah 49, one has particular relevance to this evening’s theme. In 2 Corinthians 6.2 he quotes Isaiah 49.8: “at an acceptable time I have listened to you, and on a day of salvation I have helped you.” Paul stops there, but the verse in Isaiah goes on, “I have...given you as a covenant to the people.” I have argued at length elsewhere that this is exactly what Paul means in 2 Corinthians 5.21, two verses previously. Let me take this step by step, as it is complicated but important. First, the chapter-division between 2 Corinthians 5 and 6 is of course arbitrary and much later. There is ample evidence that Paul is carrying on the same train of thought. Second, in 2 Corinthians 5.18-21 Paul is describing and explaining what he calls “the ministry of reconciliation,” the diakonia tēs katallagēs. He is explaining the nature of this vocation to the Corinthians who seem offended because he has been in such trouble, has suffered so much, that they are ashamed of him. That is part of the point, he says: what God did through the servant-ministry of the suffering Messiah he is now implementing through the servant-ministry of the suffering Apostle. Third, as Paul approaches the end of chapter 5, he builds up his case in three carefully parallel double statements. First, in verse 18: God reconciled us to himself through the Messiah, and has given us the ministry of reconciliation. That is: (a) something God did through Jesus; (b) the ministry which Paul has as a result. Then second, in verse 19: in the Messiah God was reconciling the world to himself, and entrusting to us the logos katallagēs. Again, something God did through Jesus, followed by something God is now doing through Paul—and note that this ministry, this message, is called the logos, the “word” of reconciliation. In verse 20, before the third and last such double statement, Paul explains what this logos katallagēs is all about: God is making his appeal through Paul and his colleagues. Though most translations of 5.20b say “We entreat you on the Messiah’s behalf to be reconciled to God,” that is not what Paul is saying. He is not suddenly making an appeal for the Corinthians to be reconciled to God; that had happened a long time before. The word “you” does not occur here. This is Paul’s description of “the word of reconciliation” more generally: it is a word addressed to the whole wide world, “be reconciled to the one true God!” It is, in other words, the servant-word, the word entrusted to the Servant of Isaiah 49. But then, in verse 21, we have the third and last of the double statements. This is normally seen in terms of the “wondrous exchange” celebrated by Luther and many since: Christ takes our sins, we receive his righteousness. But that is not what Paul says. This, too, is a double statement, first of what God has done in the Messiah, second of the ministry which the apostle and his colleagues have as a result. First, then: God made him to be sin who knew no sin; the echoes of Isaiah 53 are clear. But second, “so that in him we might embody the covenant faithfulness of God”—with, this time, the echoes of Isaiah 49 sounding clearly. The apostles embody the divine faithfulness to the covenant: “I have given you as a covenant to the people,” says God in the verse which Paul quotes a moment later, having just urged them not to accept God’s grace “in vain,” another echo of Isaiah 49.4. All this may seem rather detailed and technical, as indeed it is. But the point relates directly to the larger issue we have been discussing. For Paul the divine word, here seen as the “word of reconciliation” which is entrusted to him, is the means of covenant fulfilment. It is not simply a fresh word out of the blue, without biblical antecedent or density of meaning. It is not merely a sudden address from a previously unheard-of divinity—though to Paul’s gentile hearers it may well have felt like that. For Paul, the “word” is the long-awaited message through which the Servant-ministry, at the heart of Israel’s prophetic tradition, is fulfilled at last. When, in Romans, he says that the sudden unveiling of the gospel is borne witness to by the law and the prophets, I think this is central to the prophetic part of that claim. For Paul, the powerful word through which the community of believing Jews and believing Gentiles is called into existence is the Servant-word, the reconciliation-word, the covenant-renewal-word, the word which therefore, tying in with Colossians which is after all very close in theme to 2 Corinthians, the word also of new creation. “If anyone is in the Messiah—new creation!” declares Paul in verse 17, right before this sequence. Of course: because the renewal of the covenant always pointed to the renewal of creation, and if there were any doubt on that score we should simply read the larger context of Isaiah 49, in which the powerful Word in chapters 40 and 55 holds the whole poem together with the promise of the return of YHWH to Zion, to begin with, and the renewal of all creation, as the ultimate goal. For Paul the word of the gospel, the word of reconciliation, is the word through which God renews and establishes the covenant in order to renew and establish creation. That is the point of the fulfilment of prophecy. And here we come upon a vital point. For Paul, the idea of a powerful word was not simply a matter of his understanding of what today we call speech-act theory. It corresponded to the ancient belief in the power of the prophetic word. The prophet’s words carried divine power. So did Paul’s. What then about Torah? Everybody who studies Paul comes, sooner or later, to the question of “Paul and the Law,” and many of us were taught the different answers: does Paul think the Law is a bad thing, abolished in the gospel, or a good thing, fulfilled in the gospel? Galatians seems to say the first, and Romans the second. But this is far, far too shallow. Paul is a lot more subtle than that—as we might expect from the larger context of second-temple Judaism in which he grew up. Torah was not monolithic. And, above all, Torah was not just a set of commandments. Torah—as you can see by reading the Five Books of Moses straight through!—was above all a narrative: the story of creation and covenant, of God, Adam, Abraham, Moses, Israel, Egypt, and, shimmering in the distance but vitally important, the Land, the inheritance. Torah is the story of how covenant restores creation; of how everything that went horribly wrong with Adam and Eve, all the way to the tower of Babel, was (at least in principle) put right through Abraham’s family, through the Exodus, through the ultimate promises. But there is a problem with this story. God calls Abraham to undo and reverse the sin of Adam and its consequences. Adam and Eve were called to be God’s partners in his project for his world; they were to be the royal priesthood, reflecting God into the world and the world back to God. When they turned aside from this vocation, God did not revoke the creational mandate to work in the world through human beings; he called a human family to be the means of undoing the damage, of getting the creational project back on track. And he did so knowing that the family who would carry the solution were also examples of the problem. Abraham, called to undo Adam’s sin, was also “in Adam.” That is why, to cut a long story short, the people who are rescued from Egypt soon after make a golden calf. And it is why, right at the end, in a passage quoted by Paul again and again, Deuteronomy 32 declares that Israel, even redeemed-from-Egypt Israel, will continue to get it wrong, to worship idols, to need chastisement and rebuke. Unless we learn to read the whole Torah in this large sweep we will not understand what Paul is saying about it. But within this large sweep, just near the end, we find the passage which Paul quotes in Romans 10. He cites Deuteronomy 30: the word is near you, on your lips and in your hearts. This, he says, is “the word of faith which we preach; because if you confess with your lips that Jesus is Lord, and believe in your heart that God raised him from the dead, you will be saved” (Romans 10.8-9). This passage has puzzled commentators, because Paul seems to be doing some fancy footwork with the passage about ascending up to heaven or going down into the abyss (Deuteronomy 30.12-14). Paul, however, knows exactly what he is doing. Deuteronomy 30 is the climax of Torah, the moment when the covenant is renewed at last. Deuteronomy 27, 28 and 29 outline how the covenant is going to work out (and we know from other second-temple texts that Jews of Paul’s day were reading it like this): if you obey, you will be blessed and inherit the land, but if you disobey and worship idols you will be cursed, and be sent into exile. But then—this is Deuteronomy 30—God will do the new thing, circumcising your heart, enabling you to love him and serve him truly, restoring you to your inheritance and enabling you at last to obey Torah. Then, at last, you will not regard the commandment as too high or too low; the word will be near you, on your lips and in your heart, so that you may do it. Paul, like some other Jews of his day, thus read Torah—Genesis to Deuteronomy—not simply as the long-distant back story of Israel, but as the whole story, with the last chapters seen as a long-range prophecy of exile and final restoration. In Romans 9 and 10 he retells that whole story, starting with Abraham, continuing with Moses, coming at last to the exile and then to the Messiah, whom he describes as the telos nomou, the “end of the law,” the goal, the point to which Torah was driving all along. And so he quotes Deuteronomy 30, not arbitrarily, but exactly to the point: the “word” which Deuteronomy says will be “near you” is the covenant-renewing word, the heart-transforming word, the faith-inducing word, the word of the gospel, the word of the Messiah, the Lord. If Paul sees the powerful divine word as the fulfilment of prophecy, he also sees it as the fulfilment of Torah. God has done the radical new thing which he always promised, and in the word of the gospel this new thing springs to life —the life which the law longed to give but which, because of the flesh, it could not, as Paul says two chapters earlier. The divine “word” thus summed up the law and the prophets, not simply cognitively—as though somehow expressing in a nutshell all that they had taught, though Paul would probably have said that too—but narratively, in that the long story both were telling had reached its telos in Israel’s Messiah through whom the covenant was fulfilled and the creation therefore renewed. And it is that fulfilment of covenant and creation that leads us into the final section of this lecture. I have argued that for Paul the powerful divine word is both the word of the gospel, the announcement about Jesus and his death and resurrection, the proclamation that he is therefore Israel’s Messiah and the world’s true Lord, and also the fulfilment of Israel’s long hope, shaped by Torah and Prophets. In this Messiah the covenant is renewed; therefore, in his resurrection and through the gospel itself, creation is renewed as well. “If anyone is in Messiah, new creation!” That is of course paradoxical and partial, awaiting the final resurrection for its completion; but for Paul it is decisively launched. That is the framework for the larger understanding of gospel, community and mission to which I now return. For Paul, the community of Messiah’s people were called into being by the powerful word of the gospel, and were to be built up in faith, wisdom and understanding by that same word, seen as having specific cognitive content but, deeper than that, as convenying the divine transformative “energy.” Thus a the word was declarative (saying what had actually happened), informative (saying what it meant), performative (bringing into being a new state of affairs) and transformative (effecting in human beings individually and together the new creation of which it spoke). All these were, for Paul, part of the whole work of the powerful divine word. And therefore, not only in Philippians 2 but all through, Paul sees the community called into being by this word as a pilot project for new creation. In Ephesians he speaks of the church being the sign to the principalities and powers that Jesus is Lord. In Galatians the church called into being by the truth of the gospel is a single community of Jew and Gentile together, which has left behind the slavery under the stoicheia, the “elements” of the world. In Romans, the church is the people who share the doxa of the Messiah, that is, his glorious rule over the whole world. At the moment they share it through the deep paradoxes of suffering and of the prayer which cannot get beyond anguished groaning with the pain of the world. But that is part of the point. The church is the people of new creation who are to live, by the powerful word, at the heart of the creation that is longing to be free from its own slavery to decay. The church is to be the sign, and, by its prayer, part of the means, of that creation’s renewal. Of course one can parody this. One can speak of the church simply building the kingdom by its own efforts. That is not the point. The church is to be the community in which the signs of new creation—particularly, of unity across traditional boundaries, and of a holiness which instantiates what the Torah longed to do, a humanity free at last from idolatry, hatred and sexual sin—are coming to birth, demonstrating that there is indeed a new way to be human, and with that a new future for the whole creation. It will I think be obvious that this vision of new creation is very different from the traditional western model, whether Catholic or Protestant, in which the only real point is to leave behind the present world and go somewhere else. There is a long debate as to whether the Platonic influence on Christian dogma has been healthy or not, and I hope it’s clear from what I’ve said tonight why I think it has been largely unhealthy. The ancient biblical view of creation was that it was good and to be affirmed, however much idolatry and corruption had infected it. The Christian view is that creation has been rescued and renewed in Jesus the Messiah, and that through the powerful word of the gospel that message of renewal, and the reality of which it speaks, have been let loose in all the world, not to abandon creation or to escape from it but precisely to renew it from within. The church, living by the powerful word of the gospel, is to be the people of new creation, not only new creation in its own life but the cause of new creation in the world: of reconciliation, of course; of beauty, naturally, since as Paul says “we are God’s artwork”; of justice, certainly, because by the gospel we are justified, put right, in order to be a sign and a means of God’s intention to put the whole world right at the last; of evangelism, of course, because the powerful word is precisely the good news that through Jesus God has dealt with all that corrupts and destroys the world and human life, and has launched his new world in which, one day, God himself will be all in all. This is the powerful word which Paul spoke, and about which he spoke. And, as we look outward to the larger question of the word of God for today, this message must naturally be at the heart of what the church is and does. And when we look with Pauline eyes at the whole canon of scripture, and see how Torah and Prophets come together into this new word, we may perhaps glimpse ways out of the sterile antitheses which have for so long made life difficult in the western church. I haven’t talked about the gospels or Revelation, but I would want to say that the Bible as a whole is designed to work in the same way that the powerful word of the gospel works. It too is declarative, informative, performative and transformative. It too transcends the small rationalistic boxes into which both conservatives and skeptics have so often tried to squash it. If we say that the Bible carries the divine authority, we are not saying that it is an encyclopedia in which we can look up true facts. We are saying that it is the story in which all our stories are contained, including the story of how our Christian predecessors have read it. It is the work of art through which we ourselves may become God’s artwork and may then produce fresh artwork ourselves. It is the story of how God is putting the whole world right, within which is contained the story of our own putting-right so that we can share in God’s larger project. If, in short, we are looking for a biblical theology of the Bible—for what the Word itself says about a "theology of the word"—we must think in terms of the great narrative of creation and covenant, and then of new covenant and new creation, and of the powerful word at the heart of every moment and stage of that story. We must then learn to read and teach it, privately, liturgically, prayerfully, as what it is, not as what it isn’t. And we must hope and pray that in this and in every generation God will raise up people who will in their turn be servants of the word, themselves transformed and bringing transformation to the world. N. T. Wright is the former Bishop of Durham in the Church of England and one of the world’s leading Bible scholars. This lecture was delivered as part of "The Living Word," a collaboration between America and the American Bible Society.